We are 4 miles from the market town Market Rasen where you can find local amenities such as supermarket , petrol station etc and most importantly the races. 26th December – The Rand farm park boxing day. The 7 large lakes here at Wold View Fisheries have been providing great fishing for years and are now well established in beautiful, semi wooded but open countryside. 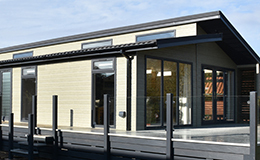 Recently we have started to offer our own accommodation in modern 2 and 3 bedroom lodges. We also offer a limited number of caravan pitches. For getting to us, please note that a SATNAV with our postcode, takes you close to our location but not actually to our gate. Please use “Wold View Fisheries” on Google maps for a more accurate set of directions.